So it's Monday, which means for many of our patrons it's family night. I don't know about you, but our family nights often included bickering about who won whatever game we were playing. Wouldn't it be nice to play a game that didn't have a winner or a loser, that had everyone working together as a team? Welcome to the world of cooperative games. At PERC we have a variety of cooperative games available for checkout. They even have their own section in the shelves. We have recently added several new and fun options for your family. 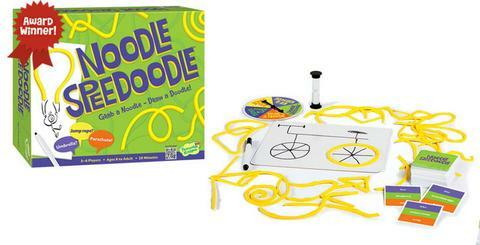 Noodle Speedoodle is like Pictionary but you have to use a "noodle" in the picture. In Stone Soup, everyone works together to make a good soup before the fire under the kettle goes out. 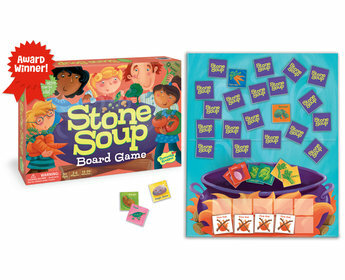 Try one of our cooperative games and see if family game nights go smoother!